Soren the French Bulldog is an unlikely champion in the athletic sport of agility, or so many people think. But Soren has something that his critics can’t readily see: belief in himself. With that, and the support of his friend Deb, Soren sets out to prove that champions come in all shapes and sizes. 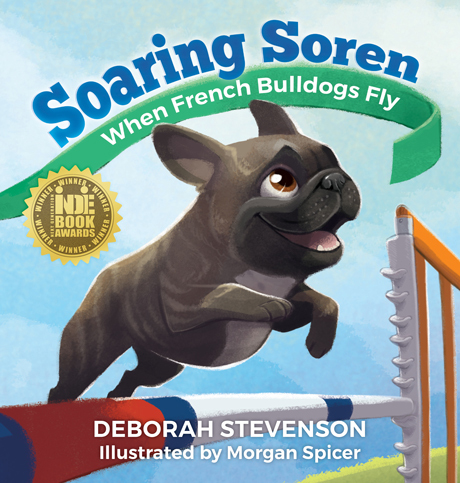 Soaring Soren is an inspiring story about pursuing a dream. Soren is irresistible and determined. His quest for an agility championship is exciting. But most endearing is the love and trust between Deb and her dog. It is sure to melt the hearts of children and adults alike. Silver Winner of the 2018 Feathered Quill Book Award for Animals—Children’s and Young Adult. Bronze Winner of the 2018 Feathered Quill Book Award for Children’s Picture Books. Winner of the 2017 Next Generation Indie Book Award for Children’s / Juvenile Nonfiction. Finalist for the 2017 Next Generation Indie Book Award for Children’s Picture Book (6 Years & Up). Silver Medal Winner of the 2017 Readers’ Favorite International Book Award for Children / Animals. Nominated for the 2016 Dog Writers Association Award for Best Series of Illustrations or Paintings. Deborah and Soren. Photo © M. Nicole Fischer Photography. 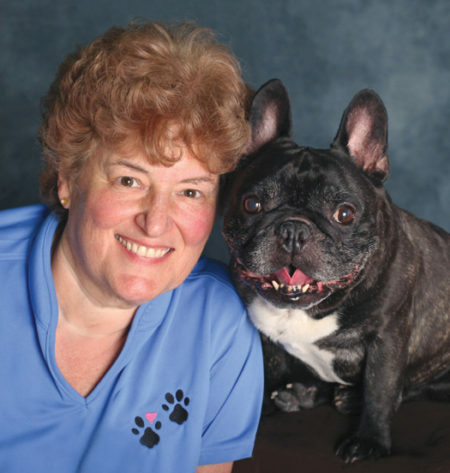 Deborah Stevenson’s lifelong love of animals and writing have frequently intersected over the years, resulting in numerous articles written for animal-related publications, websites, a regular column for JustFrenchies magazine, and children’s books. When her son was young, reading together was a treasured time they shared. This spurred her desire to write books that other parents could enjoy with their children. Currently a product marketing manager, Deb also worked as a technical writer for over a decade. 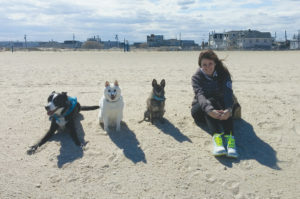 She lives in New Jersey with her son and their three dogs, and enjoys training for and competing in the sport of dog agility. Photo courtesy of Morgan Spicer. Morgan Spicer is a children’s book illustrator, character designer, ethical vegan, and the founder of Bark Point Studio. Through her small business, she has created over 1,300 pet portraits, with a percentage of many of her commissions going to local and international animal rescue groups. A self-proclaimed “dog and cat lady,” Morgan hopes to one day open an animal sanctuary and rescue of her own, where she will continue to educate youth about the importance of compassion and the magic of animal companionship. She has illustrated ten books. To see more of her work, please visit her at www.MorganSpicerIllustration.com.